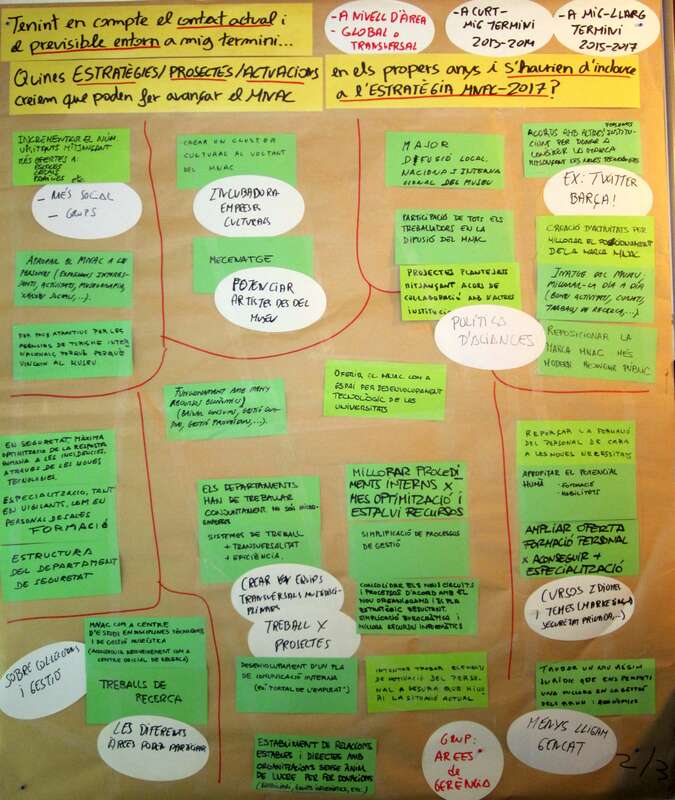 These aspects, with the impact of the setting in motion of the LRSAL (Llei de racionalització i sostenibilitat de l’Administració local) (Law of rationalisation and sustainability of the local administration), can be seen to be further boosted. We are undergoing, being carried along by the “law of the pendulum”, the contrary to what took place in the end of the decade of the nineteen eighties and the beginning of the nineties, the years characterized by a strong economic and social crisis. 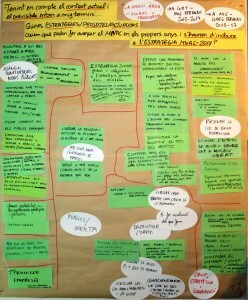 In those moments, the administration tackled the crisis by means of decentralising measures that became materialised in the creation of trusts in the town and city councils, public foundations, consortiums, and a long list of legal figures that were committed towards greater efficacy and efficiency by providing these entities and organisations with autonomy in the management and capacity to act and to be able to tackle the crisis. At the present moment in time, and with a surely more complicated situation, they are acting in a radically different way. For sure, aside from the systematic crisis that we find ourselves immersed in, the cases of corruption are not alien to this, and have led to this tendency of centralisation and hyper-control. All of this making the “pendulum” return to its antipodes with unusual acceleration, which has meant that the public companies are left far behind, in terms of their results and functioning that the society increasingly demands of us, which should not only be good, but at the same time fulfill the mission for which they were created. For the time being in Europe there doesn’t seem to be a commitment towards public investment in the private sector or for a reactivation of the public sector as drivers that can overcome the crisis. Long gone are the public investments, or the employment plans that for example in the 1980s, in the world of culture, led to many interventions in the cultural heritage throughout our country and served to reinsert many people into the world of work. This is the case, for example, of the creation of the workshop schools which, once they were completed, would be transformed into companies, in many cases; or the continuous or ongoing training for reinserting the unemployed into the labour market etc. In this sense, the recently born public companies that were created by the different administrations played an important role in terms of reactivating and boosting the economy and the public sector itself. At this moment in time it seems that we have completely lost our trust in the public sector, and what is worse, maybe even in the private sector as well. 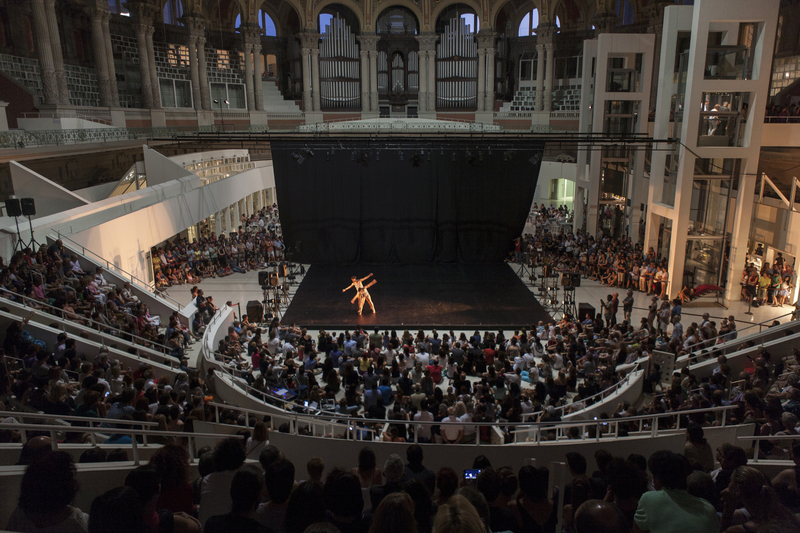 Based on all these parameters, in the Museu Nacional we proposed three years ago how we should face the future challenges, taking into account some changes within the public management which are here to stay. 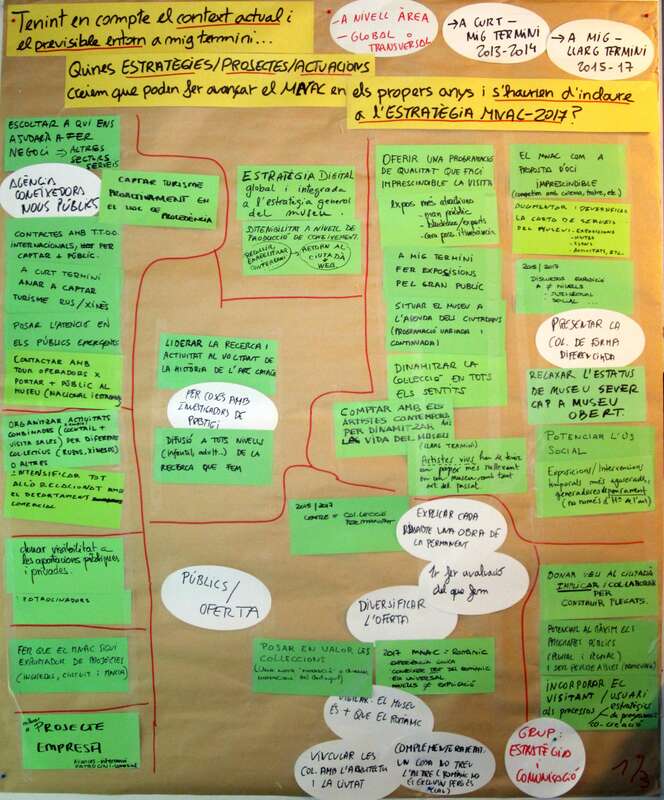 In 2012, coinciding with the writing of the Strategy 2013-2017, the aim of which being to serve to fix the new working axes of the Museu Nacional d’Art de Catalunya, it was decided to set in motion new management tools that could be used for implementing our new project. We looked for tools that together with the new strategic plan would allow the museum to become a leader in terms of business management, in the relation with the society and with the environment, as well as regarding its own economic situation, elements that due to the economic crisis needed to be revised so as to be able to adapt ourselves to the new social and economic reality. the aim of achieving the European certification of Social Corporate Responsibility IQNet SR 10. An absolutely and necessary transversal project, not only for getting the certification, but also for the whole transformation of the organization and the implementation of the new practices that this implies. We will talk about the three projects in a forthcoming article of the blog.